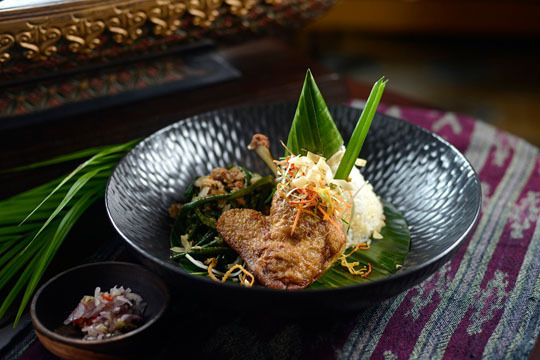 Andrawina Restaurant offers guests a truly regal Peranakan dining experience in a resplendent and authentic colonial setting. Found within the Rumah Luwih beach resort, just a five-minute drive from Bali Safari Park, 25 minutes from Sanur and 30 minutes from the historic and cultural centre of Ubud, Andrawina Restaurant is open for breakfast, lunch and dinner, which can be enjoyed either in the elegant colonial-style dining room with its bright décor, chequered floor and white rattan furniture, or al fresco on the delightful poolside terrace with views over the resort, beach and sea. 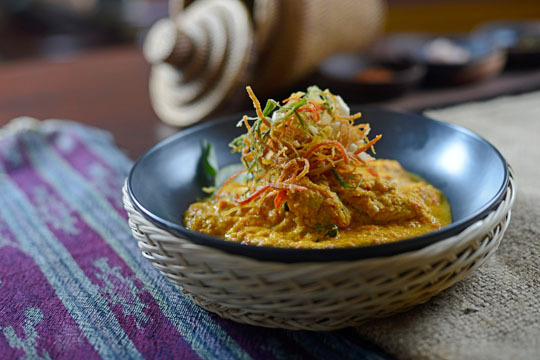 The menu is a celebration of Peranakan flavours, also known as Nonya cuisine, a diverse branch of gastronomic delights that evolved when early Chinese migrants who had settled in Penang, Malacca and Singapore married local Malays. 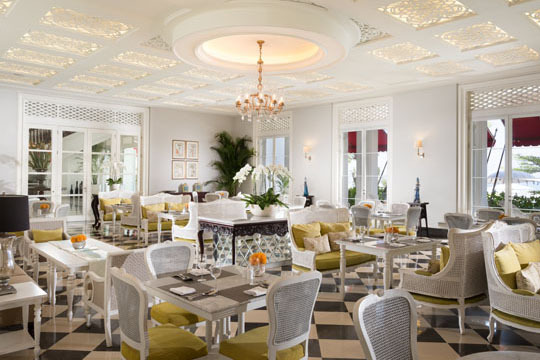 The Peranakan dishes are complemented by a tempting array of seafood along with Indonesian and international specialties. There’s a sensational Peranakan Sunday Brunch too and a traditional Afternoon Tea that can enjoyed either in the dining room or the elegance of the lounge.